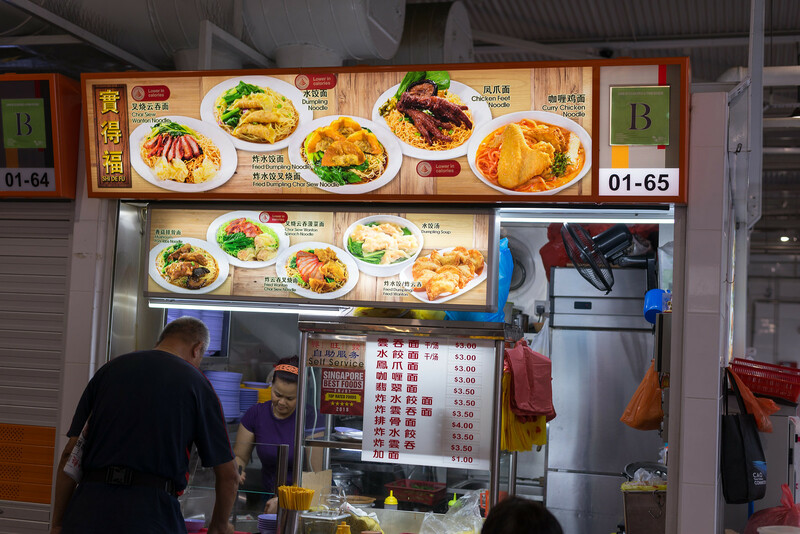 Opened in 1974, Shi De Fu Wanton mee has been known for their mouth-watering wantons and dumplings. 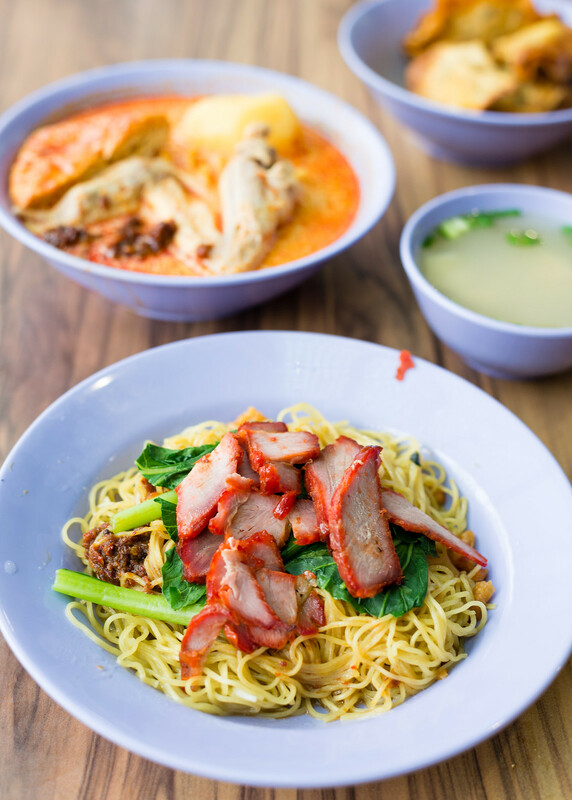 Helmed by Uncle Tang and his wife, Shi De Fu offers a variety of noodle dishes which include wanton mee, curry chicken noodles, dumpling noodles, and even chicken feet noodles! Uncle Tang has been working here for over 40 years now. He told me that his recipe was passed down from his parents, and he still does everything by hand today! 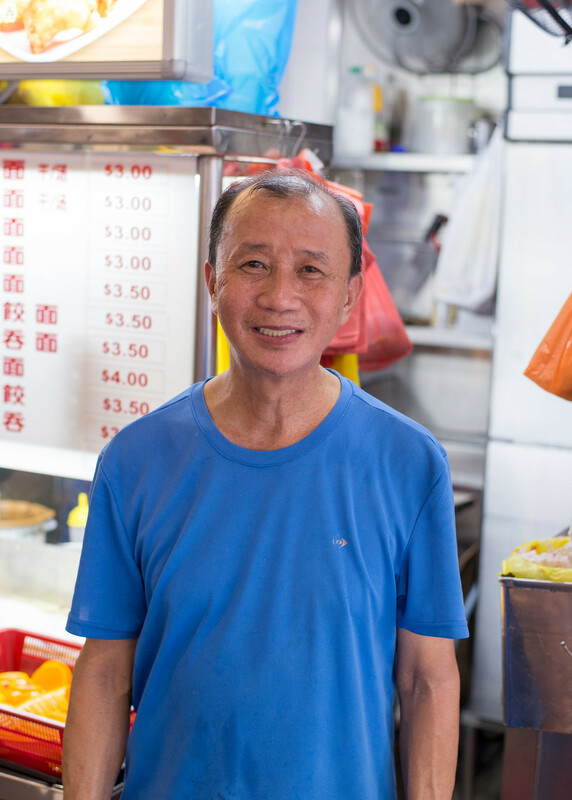 Uncle Tang, now 62, shared that he even used to roast the char siew on his own. He sources the char siew from a supplier now, as there’s insufficient space in the current stall. Currently, Uncle Tang and his wife start work around 530am every morning. The chicken feet, pork ribs, chili, wantons and dumplings are all made by hand daily. As long as Uncle Tang has the means to, he will continue to make the ingredients by hand, to ensure the best quality possible. If you’re lucky, you’ll be able to catch him folding wantons and dumplings, while his wife is busy cooking and attending to customers. I couldn’t help but really like Uncle Tang and his wife, who are really friendly and humble! Banh Mi Thit by Star Baguette - A Hidden Gem in Geylang that Bakes Its Own Baguette Daily! 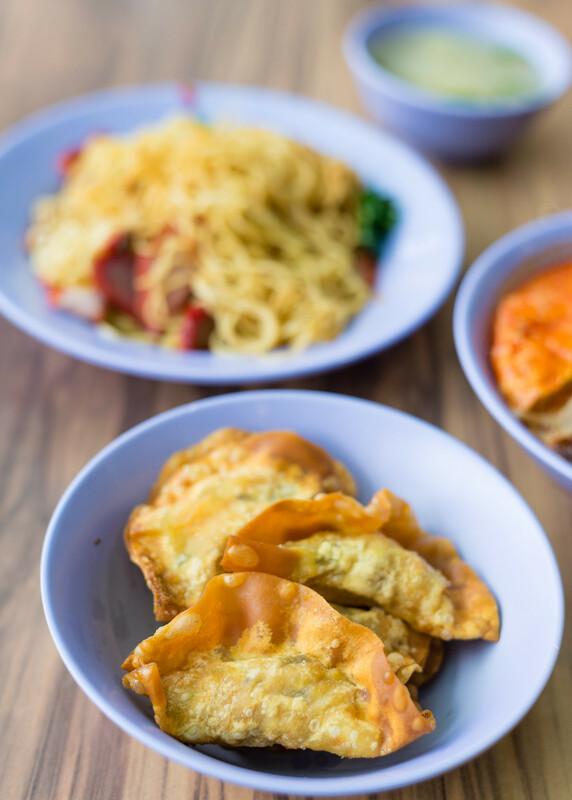 We tried their wanton mee (dry), and curry chicken noodles, and also ordered some fried dumplings to go along. The wantons and dumplings stood out the most. The fillings were exceptional, and generous in portion. Packed with mushrooms and grated carrots, the fried dumplings were juicy, and had an alluring crunch. I liked that the skin was not too thick. At $3.50, the dumplings were a little expensive but they were the best thing that I ordered. 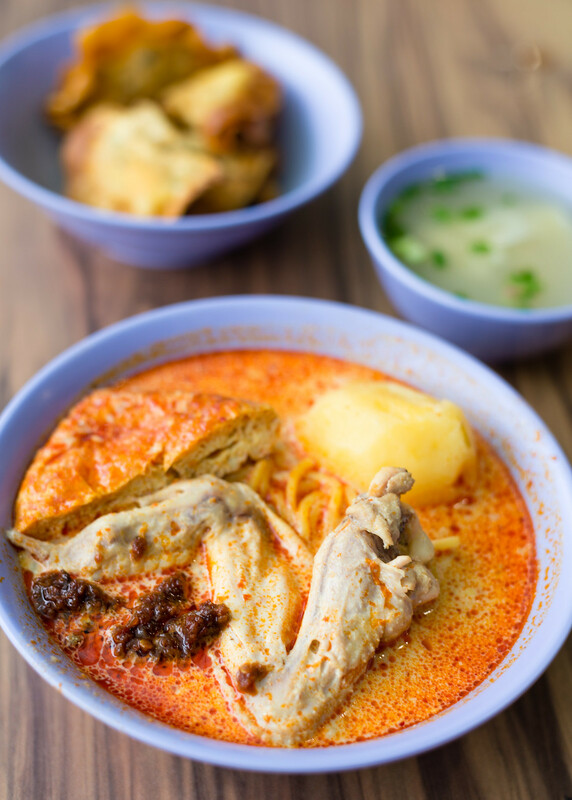 The Curry Chicken Noodle ($3) sees a chicken wing, potatoes and tau pok slices swimming in a pool of red curry. The curry was creamy, but did not carry much flavour. Uncle Tang will ask if you’ll like to add chilli, and I’m glad we did. Remember to mix the chilli with the curry well! This is not the best bowl of curry chicken, but I don’t think you’ll be disappointed. Last, but not least, we had the wanton mee set ($3). 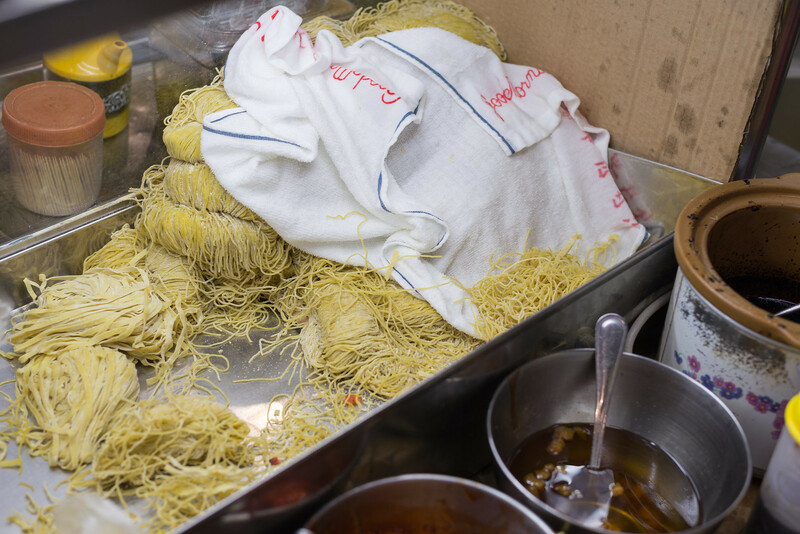 Give the al dente noodles a good toss, to ensure that every strand is coated with the sauce that lies beneath the pile of noodles. The char siew was a little dry though, but the star, which was the wantons in the small bowl of soup, more than made up for it. I’ll definitely order an entire bowl of wanton soup when I revisit! 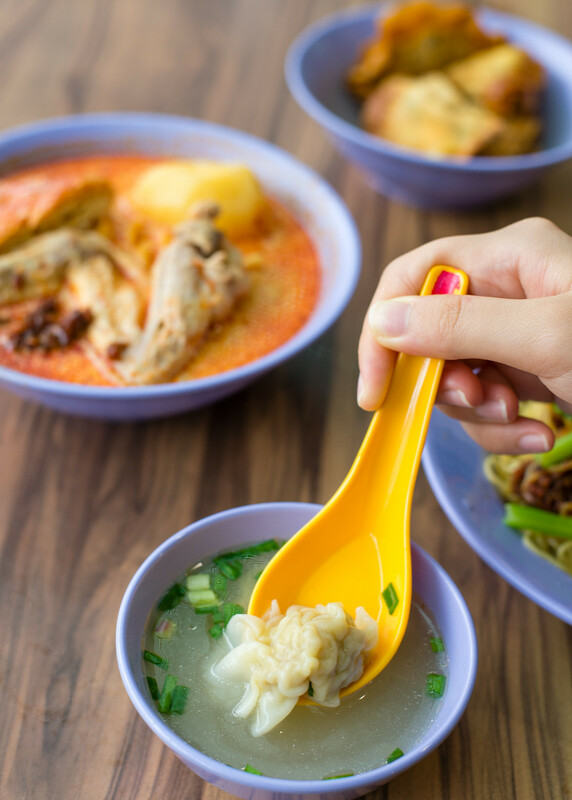 Jewel Changi Airport Food Guide – What To Eat At Singapore's Newest Destination? What a satisfying meal for only $9.50! Such price points are certainly hard to find these days. MissTamChiak.com made an anonymous visit and paid its own meal at the stall featured here. Let’s build a food community that helps to update the food news in Singapore! Simply comment below if there’s any changes or additional info to Shi De Fu Wanton Mee. We will verify and update from our side. Thanks in advance! For more food videos, check out our official YouTube channel! 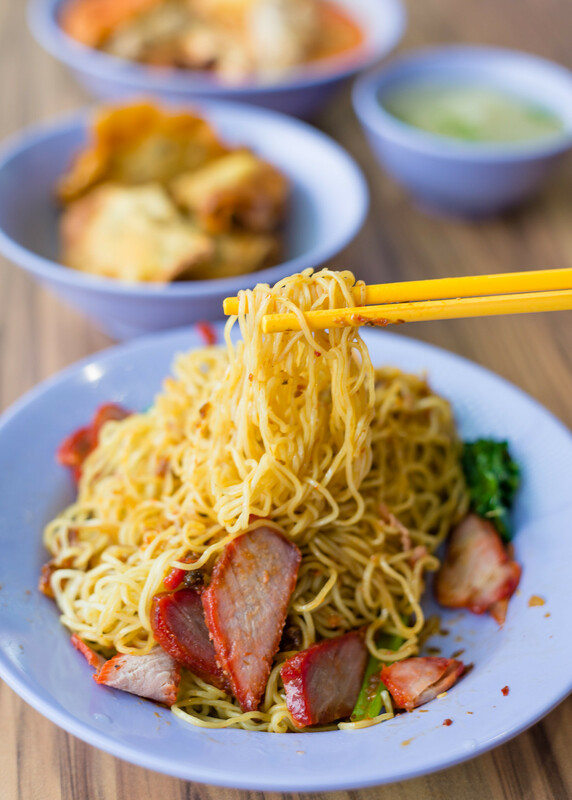 You may wish to check out our article on Yap Kee Wanton Noodles – they are located at Holland Drive and uses 100% egg noodles! Join us on our Telegram channel!